Description: Three columns orange and brown fixed layout. Desinger <a href=”https://edblog.net/”>Eduardo</a>. * Three-columm, Orange and Bworn. * Comments can be threaded and paged. 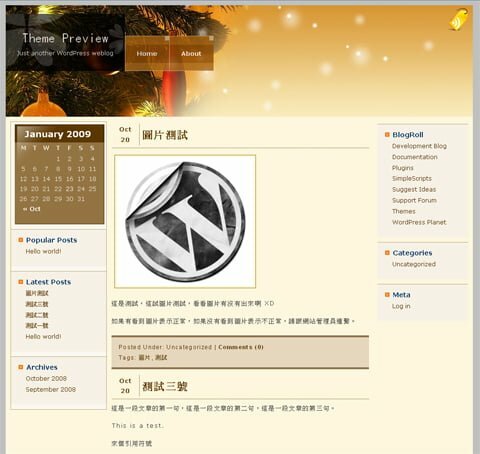 Warming解壓縮之後沒有看到 themes 裡面有 plugins 的目錄? ?